North Carolina storm seasons can be rough and the 2015 Hurricane season in full swing. It is important to make sure you are taking precautions now to minimize damage to your home should you experience a severe storm or hurricane. While many people think of their exterior siding, deck or patio furniture, and landscaping when storm-proofing their homes, some forget all about their outdoor air conditioning units and basements. The National Oceanic and Atmospheric Association notes that preparation is key to minimizing the impact of a severe storm to your home and devotes an entire week each year to Hurricane Preparedness. 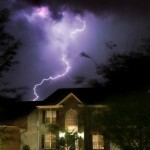 Since the weather is important to us here at WeatherMaster, we put together our Severe Storm Preparedness List to help protect your home's basement and air conditioner. • Secure your outdoor air conditioning unit with hurricane straps to keep it from moving during the storm. • Tighten the bolts that attach your air conditioner to the base. After a severe storm or hurricane has passed, it is time to check your air conditioner and basement for signs of damage as soon as you can. Check your basement first to prevent any future water damage to your home’s foundation. Then, inspect your air conditioner for damage. You should look for any cracks, dents, impact or signs that your system has shifted. If your air conditioner was damaged by flooding or salt-water, it might be unsafe to operate. Bacteria and other contaminants may have entered your system, and we recommend contacting a licensed professional before operating your system again. For more information about your air conditioner or air conditioner repair and replacement, please visit our website or give us a call. If you’re in our Raleigh, North Carolina service area, you can schedule service online with Weathermaster.